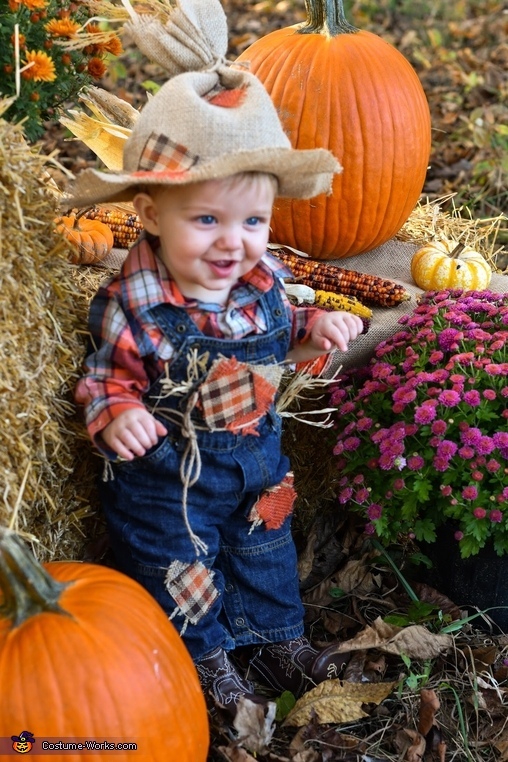 This is my son Noah who is 10 months old dressed in his homemade scarecrow costume. His costume was very easy to make using items we had around the house. We simply added some patches of ribbon to a pair of bibs and flannel and then made a hat out of a burlap table runner.